Revenue Cycle Management (RCM) includes the entire lifecycle of a patient account from creation to payment. GBS defines RCM as the oversight and supervision of the processes and key performance indicators pertaining to revenue generation, collection functions and all related controls. Problems early in the cycle can have significant ripple effects. The further an error travels through the revenue cycle, the costlier revenue recovery becomes. 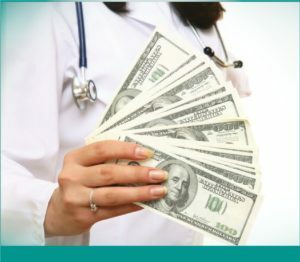 Our dependable, cost-effective solution will help your organization reach its financial objectives while you focus on your primary objective – patient care. Our goal and vision is to provide the most powerful, flexible, fully comprehensive Revenue Cycle Management Services possible. 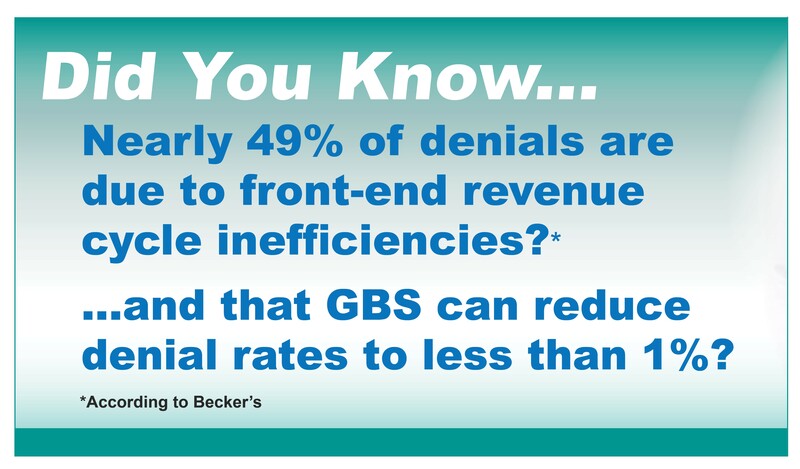 GBS RCM services manage the revenue functions within physician practices and hospitals. 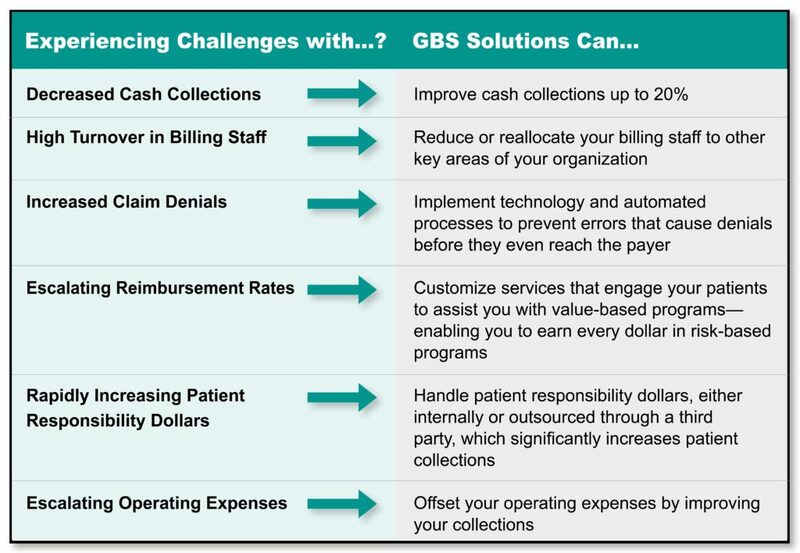 Rely on GBS’ dependable yet cost-effective, billing and collections to reach your financial objectives. For additional information, download our information piece, or call 800.860.4428.